Florida’s “no-fault” auto insurance laws have been the subject of several repeal attempts in the past, and it appears that this legislative season will see yet another attempt at repealing the controversial insurance laws. Under Florida no-fault law, an individual’s own car insurance carrier is required to provide $10,000 of personal injury protection benefits to cover medical expenses and lost wages incurred by the insured. Florida is just one of twelve states that require insurance carriers to provide personal injury protection benefits to their insureds when they are injured in a car crash regardless of fault. This has led to a “mixed bag” of results: On the one hand, the “no fault” insurance requirements help ensure that injured motorists can begin receiving benefits quickly to address lost wages and medical expenses. However, Florida’s insurance premiums have increased significantly despite legislative efforts to lower premiums thus prompting calls from some to amend the current scheme. Should No-Fault Be Abolished in Florida? If Florida were to repeal its no-fault statutes and adopt a fault-based system like the system followed in a majority of states, Florida residents would certainly see some benefits. 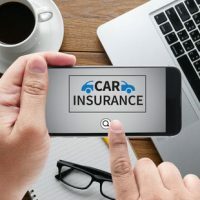 Most notably, Florida residents could see a decrease in their monthly auto insurance premium (according to projections, motorists in Florida could save up to $80 per year on their insurance premiums). While these savings may not seem like much, they could increase over subsequent years – at least in theory. Litigation: First, an individual’s motor vehicle insurance carrier would no longer be required to pay personal injury protection benefits (medical expenses and lost wages) absent a finding of fault. This may force more car accident cases to be litigated in court while injured motorists and passengers are left without sufficient resources to adequately address their medical bills and lost wages until the auto crash case fully and finally proceeds through the court system. Increased health insurance premiums: While there may be some savings to be had on individuals’ auto insurance premiums, a fault-based system in Florida could cause health insurance premiums to rise. While the cause of the car crash is being determined, injured individuals would be required to use their health insurance in order to pay for necessary medical treatment. With this increased usage of health insurance, premiums would be certain to rise. If history is any indication of the probability of success this year’s repeal efforts will enjoy, no-fault insurance will continue to be the law in Florida. It is important to know, however, that under our state’s current no-fault insurance law, motorists or passengers who are seriously and permanently injured in a car wreck are entitled to pursue compensation from the “at fault” party – that is, the person or company (or people or companies) who caused the car wreck through their own carelessness or reckless behavior. If you or a loved one have been seriously injured in a Florida car wreck, trust the Clearwater car crash law firm of Roman & Roman to know the current laws applicable to your case and be able to effectively pursue compensation on your behalf. Discuss your case with us today: Call (877) 767-1032 or contact our firm online.